Whether it's an iPhone or an Android phone, recovering deleted messages from smartphones is really tough if you don't have backup. However, it becomes so much more difficult on iOS as it's a closed operating system. 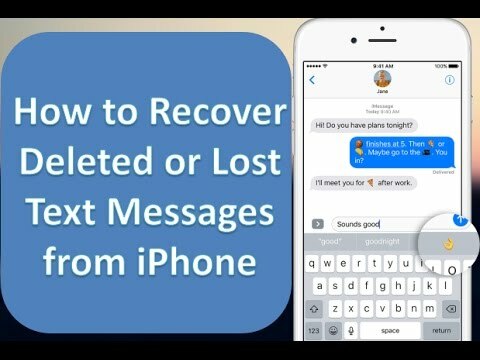 To recover iPhone messages, you will have to take the help of an external software and learn the steps involved in the entire process. The good news is that we have the steps simplified and listed below for you. 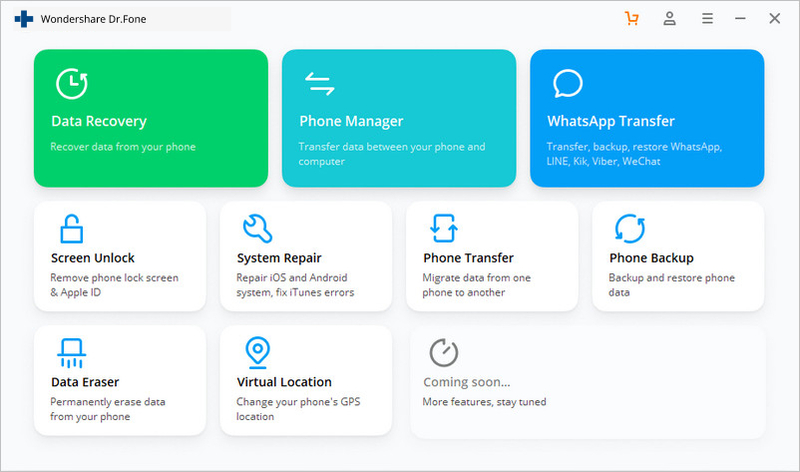 You will need to purchase and install dr.fone iOS recovery on your computer first and once you do, the software can help you recover anything from Facebook messages, WhatsApp messages and SMS messages to photos, videos notes, voicemails, documents and just about anything else on your iOS device. Update your iTunes to the latest version and turn on "Prevent iPods, iPhones, and iPads from syncing automatically" from Preferences > Devices. Exit iTunes and before moving on to Step 3, make sure that iTunes isn't running in the background. Connect your iOS device (iPhone/iPad/iPod) to your computer via USB and launch dr.fone. Once the software menu opens up, click on Recover. Wait for dr.fone to detect the connected device and show a menu as displayed by the screenshot below. 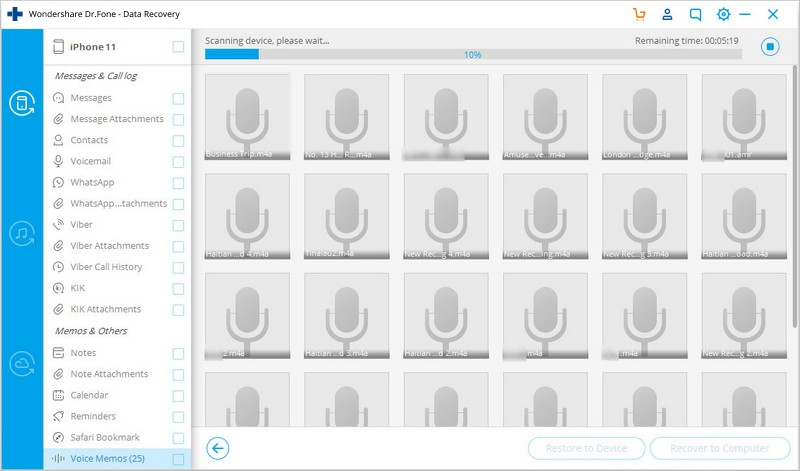 Click on Start Scan and dr.fone will begin scanning your connected device for deleted messages, media and other documents. In case you don't want to go through the entire scanning process, feel free to click on Pause whenever you see the messages or the data that you are looking for in particular. Once the scanning is done or if you press the pause button, you should be able to see everything that dr.fone has found on the device and this will include a lot of the stuff that is already there and was never deleted. That's okay though, because you can simply check "Only display the deleted items" from the top Filter menu to see only what the software has been able to find on your device, in spite of you having deleted them earlier. From here on, you can search for specific keywords to find the data you need or you can check the previews by single clicking on them. 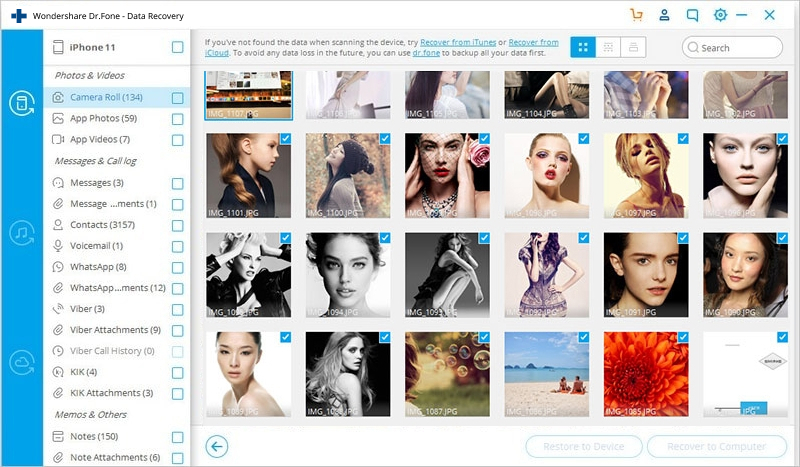 Check the boxes on the side of the data that you want to recover and simply click on Recover. 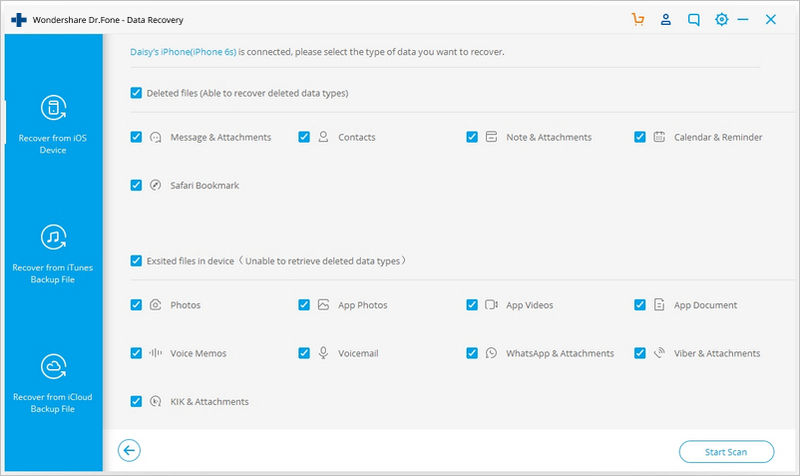 Most data will be saved on your computer by default, but when you attempt to recover Facebook messages, iMessages, SMS, contacts and notes, you should be prompted with option to either Recover to Computer or Recover to Device; choose whatever suits your needs. Congratulations! You have just managed to restore all your deleted messages and other data. In case you want to try and see how all this works before you decide to purchase dr.fone, they have a trial version for that as well. 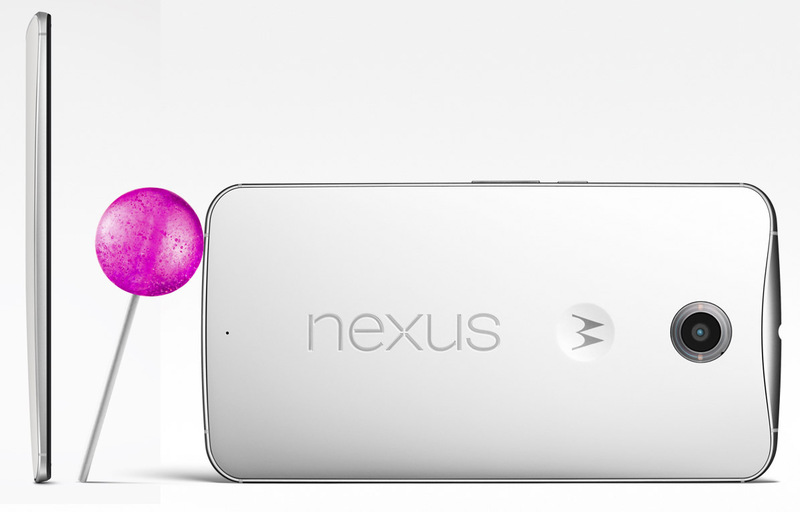 The Android 5.0 Lollipop update recently started rolling out to the Google Nexus 4 and Nexus 5 devices all around the globe, but some owners are complaining via the Android Issue Tracker on a pretty unpleasant Bug that preventing them to send text messages. 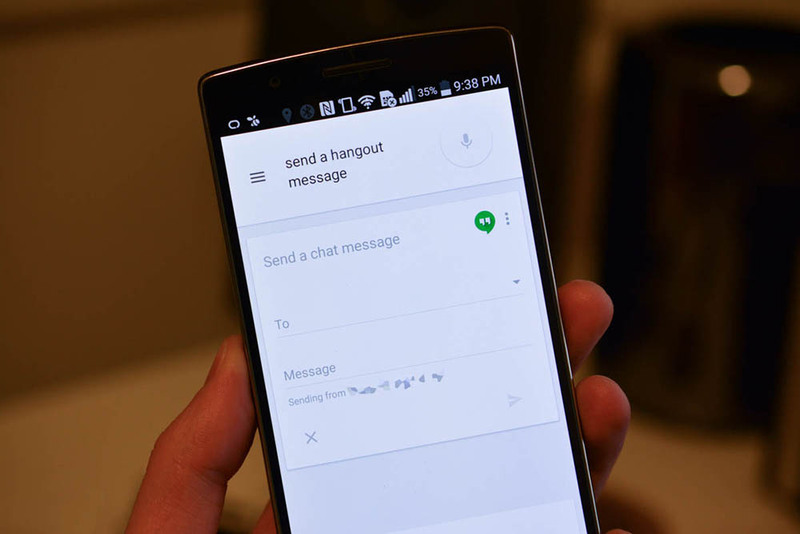 The issue seems limited to particular carriers, so it might have something to do with the specific equipment or software they are using for relaying text messages back and forth. For now, it affects a pretty diverse group of carriers, spanning from Vodafone Netherlands, through Mobistar Belgium, to India, and virtual operators connected to those networks as well. The affected owners usually receive an error code 38, and yet there is no issue with actually receiving text messages. A Dutch tech blog has sent an inquiry to Google about the bug, and has received an answer that they are aware, and the text message sending cut is also present on Nexus 6.